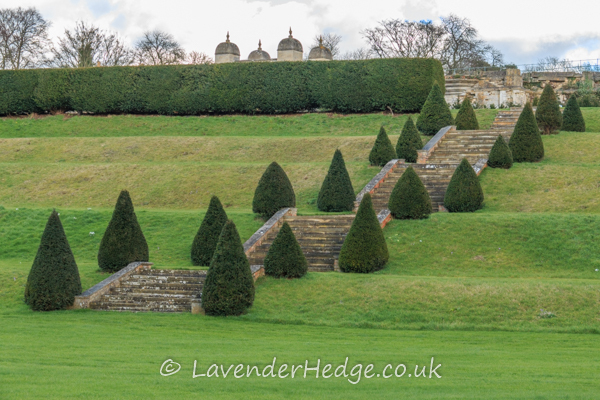 The project to restore the gardens started in 2001 and much hard work has already been done to reclaim the gardens since then. 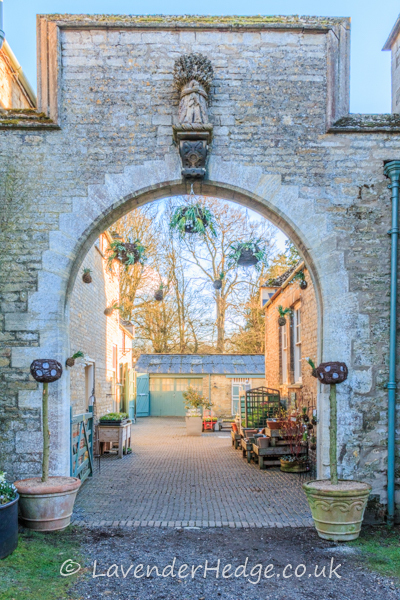 I loved the display of hanging baskets of snowdrops around the entrance archway. 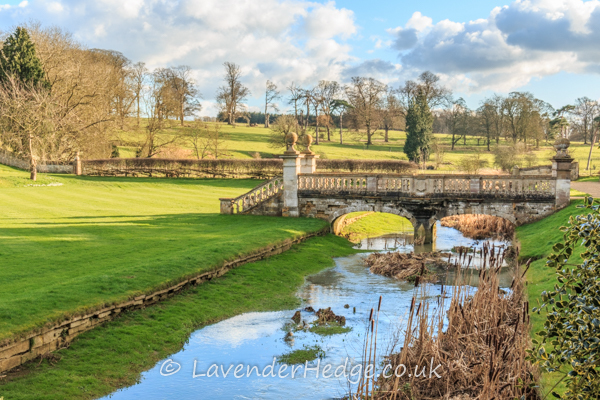 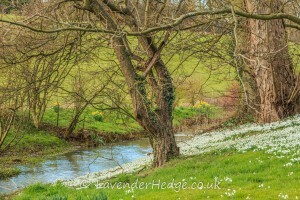 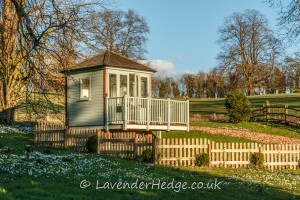 I visited during the snowdrop week and enjoyed a leisurely walk around the gardens and along the river bank. 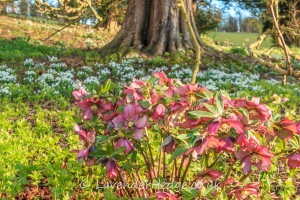 as well as hellebores, cyclamens, winter aconites and other early spring flowers. The surrounding landscape is stunning. 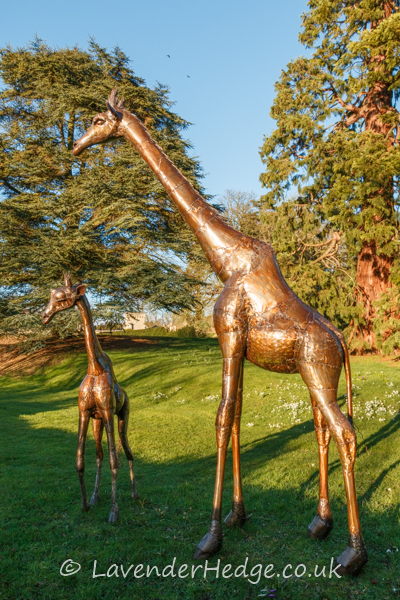 and the garden has lots of other interesting features to admire, like the metal giraffes. 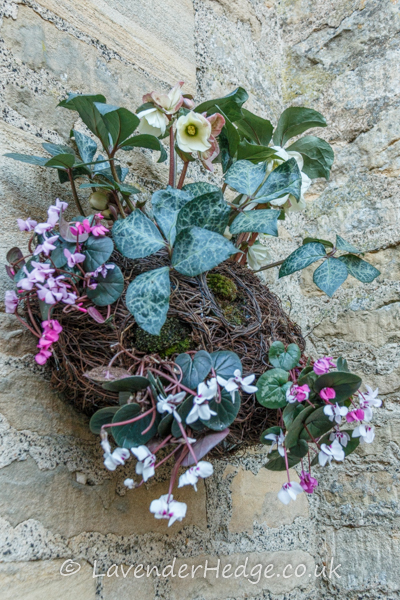 I have always thought that hellebores would be better in hanging baskets, due to the fact that the flowers hang downwards, and the wall ‘nests’ filled with hellebores and cyclamen here, are a brilliant idea. 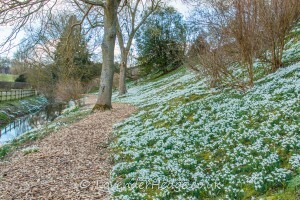 I thoroughly enjoyed seeing the snowdrops and other winter and early spring flowers and would recommend a visit and I would love to return to see the garden in summer when the David Austin roses and sweet peas are in flower, along with wild flower meadows, the kitchen garden, cutting garden and cottage garden. Homemade teas and light lunches are available. 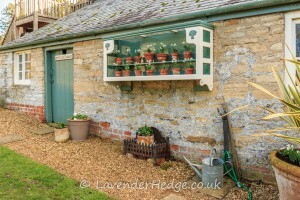 There is a gift shop and plants for sale. 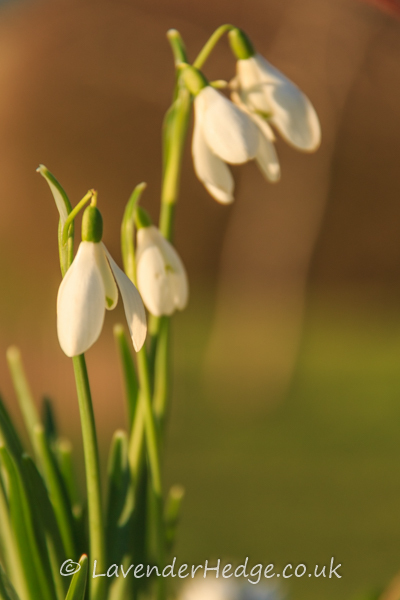 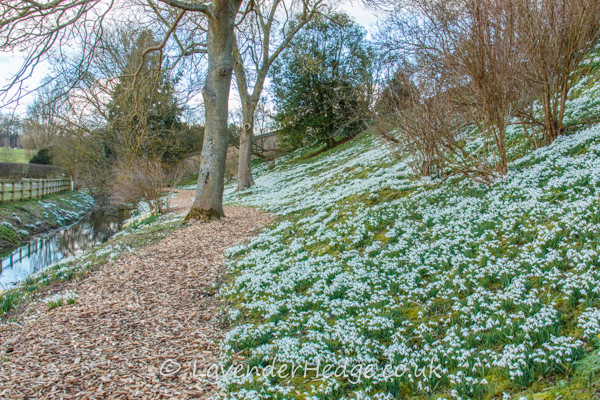 Snowdrop week runs from 13 to 21 February 2016 and the current entrance price is £7 for adults and £3 for children. 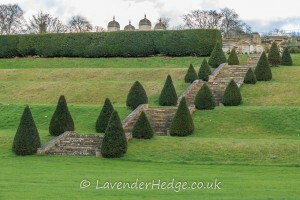 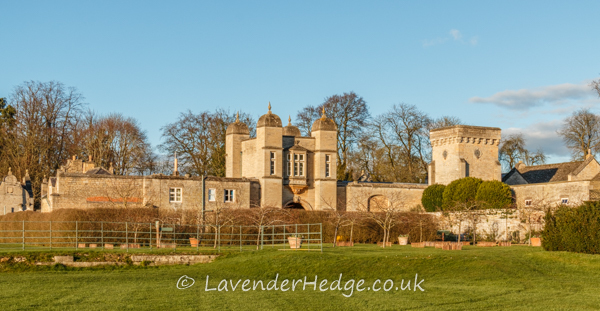 For more information on Easton Walled Gardens, please visit their website.